News Outstanding Success at Branch Awards! Outstanding Success at Branch Awards! North Steyne’s stunning year was acknowledged at the Sydney Northern Beaches Branch Awards which were presented on 22 June 2018. We received awards in 4 out of the 5 categories, and came in 2nd place as the Most Outstanding Club of Year Award. This moves us up one position from last season, and congratulations to Freshwater SLCS who was ahead of us to take out 1st place. All in all a great result for North Steyne! • Assessor of the Year – Frank Traugott, outstanding contribution to education and assessment at branch central venues. 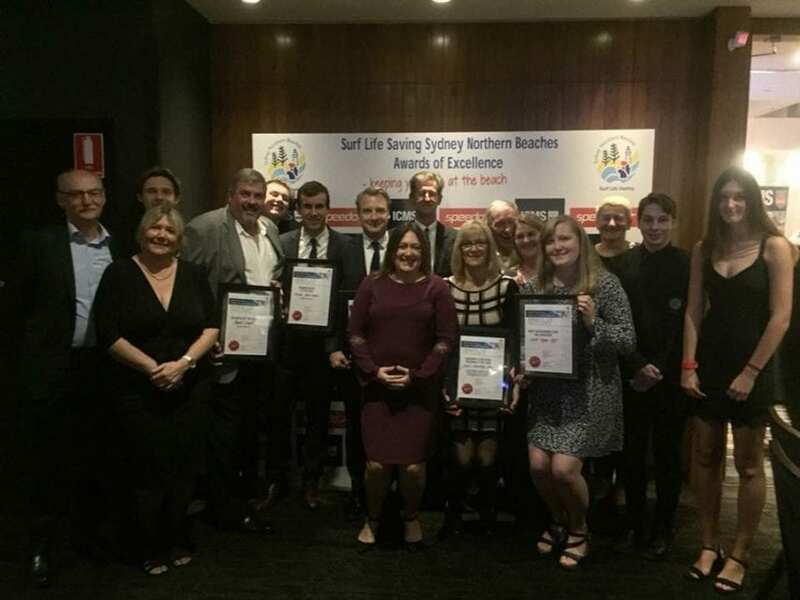 • Community Education Award – Youth Networking Program led by Jo Copper, along with representatives from Branch, Avalon SLSC and Narrabeen SLSC– a true collaborative effort. • Best in Education overall – North Steyne, under the leadership of Chief Instructor Kyra Jenkins North Steyne achieved a 44% increase in awards and trained the highest number of SRC’s in the branch this season. • Administrator of the Year – Chris Gibbs Stewart, recognised for all her hard work, particularly in relation to the 110 year celebrations. • Volunteer of the Year – David Cowell, for his tireless work around the Club and the community, and the receipt for the 2nd year in a row! • Patrol Captain of the Year – Tracey Hare-Boyd, outstanding in all aspects of leading her patrol including training, skills development and mentoring. • Young Lifesaver of the Year – Trae Hare-Boyd, a role model for other young people by his excellent contribution to so many aspects of lifesaving. How could he not be excellent in lifesaving with his gene pool! Congratulations as well to Gordon Lang, a North Steyne and Palm Beach SLSC member, who received a Branch Distinguished Service award. All awards reflect the great team work at the Club and the dedication of so many volunteers. Thank you to all our members and Directors for your hard work and commitment to North Steyne. Congratulations to everyone once again – a great success!